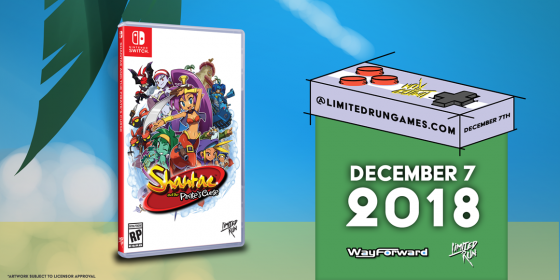 WayForward and Limited Run Games bring you the highly anticipated physical release of Shantae and the Pirate's Curse for the Nintendo Switch! This Friday, December 7th, the critically acclaimed third-entry in the fan favorite indie series will receive not one, but TWO physical editions, the Standard Edition and Collector's Edition! 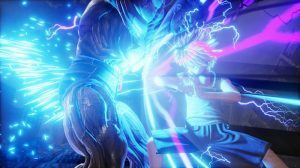 The Standard Edition pre-order will remain open until December 21, 2018. There are no limits on the number of pre-orders available, so get one for each member of your pirate crew! But don't wait too long, once the pre-orders close they won't be made available again! Pre-orders of both editions will open on December 7, 2018. 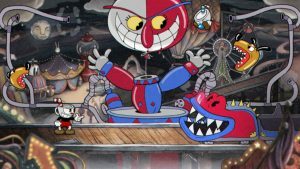 Quantities of the Collector's Edition are VERY LIMITED and will be made available in 2 batches, the first at 7:00am PST (10:00am EST) and the second at 3:00pm PST (6:00pm EST). 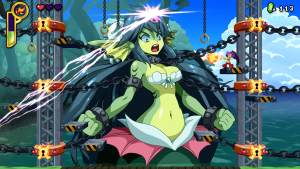 Shantae is hands down one of my favorite characters in video games! She's strong, cunning, and is always willing to improve her skills! She's certainly a wonderful role model! I love her too! 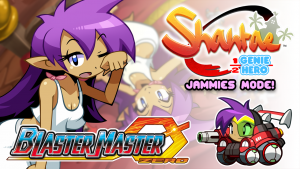 Shantae: Half Genie Hero - Shantae Summer Surprise! - Out NOW! 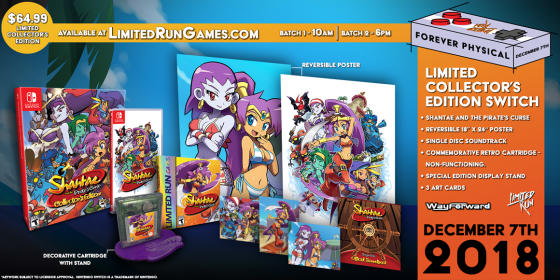 Shantae: Half-Genie Hero Ultimate Edition Revealed!